I own a salon. I’ve received massages from all over the world. If I could get Melissa to work for me, I could retire early! Seriously… she is the best massage therapist I have ever been to. To start off, she has a natuaral talent and passion for her career but what makes her the best is that she does all the little things right. She makes sure your body fits on the table, the lighting, music, oils used are all designed for your comfort. The draping of the sheets, the cleanliness, the extras like dry shampoo, tissues, water… I mean she has anticipated every need and even though I could get massages at my place for a lot less – it is worth the money and time for me to get the best there is. I have been seeing Melissa Strautman for over 1 1/2 years. The treatment modalities with the medicupping has helped me overcome several different ailments from nerve pain to plantar fasciitis. I have recently seen Tams for deep tissue. Melissa and her staff are amazing. When I made my first appointment with Melissa for a cupping massage, I was experiencing severe neck and shoulder pain. After just one 45 minute session I was virtually pain free. I can’t begin to tell you how awesome this is. She is very professional and compassionate to your concerns and needs. I have since scheduled another session and I’m counting the days to go back! 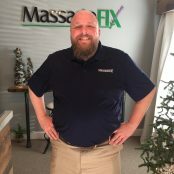 I highly recommend for anyone to visit MassageFIX for your best massage session ever! Thank you Melissa for doing what you do so well. I had a 12 hour one way flight ahead of me and I had developed a problem with my leg and back. I came to see Melissa before my flight and she honestly turned things around for me. I absolutely would have been miserable had Melissa not turned things around for me. The medicupping was unbelievably successful. My pain was gone for my flight and for my whole trip as well as my long flight back. I will forever be grateful for this treatment and the knowledge and professionalism of Melissa. Melissa is amazing! The atmosphere is amazing! The results are amazing! Medicupping by Melissa has completely relieved my arthritis in my hip! No more meds! 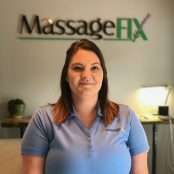 I absolutely love MassageFIX and have found the medicupping therapy so amazing. Melissa knows her stuff and her place is extremely professional, beautiful and clean! My experiences with Melissa have been incredibly beneficial. A specific diaphram treatment has been very helpful in addressing reflux and digestion issues. 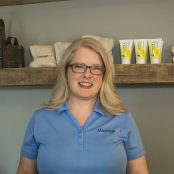 Melissa uses a combination of medicupping techniques to treat both upper and lower back ailments I occasionally deal with. She is thorough, professional, and highly recommended! I always have the best experience every time I have an appointment here. Although I have not had much to complain about, I have noticed that they strongly adhere to the customer is always right policy and if anything goes wrong make every effort to correct the situation. I will absolutely return. I had an amazing experience, and they were by far the best I’ve ever seen. They are an absolute expert in the field. I would never feel unsafe or apprehensive in their care. I wanted them to change their technique a little during my massage, and as soon as I asked them, they changed it right away. I really appreciated that they listened to my feedback. I appreciated that they personalized my massage, instead of just giving me a basic, generic massage. I’m so happy that Melissa is back in Bowling Green! I hated when she left, but am excited that she’s back and can’t wait to make my first appointment! I was only able to go to her a couple of times because she moved, and I have been looking for someone to take her place since then with no such luck. I have tried several massage therapists over the years and none of them ever took the time to make sure I was positioned correctly on the table. It may not seem like a big deal, just lay down, right? Well, I have issues with my shoulder and it made a big difference in my comfort level and ability to relax during the massage by not laying totally flat. She used these wedge things under my shoulders to align me a little better and it was awesome! She also made sure the head/face rest was comfortable so that I didn’t feel like all the blood was rushing to my face. These little things made such a huge difference in the way I felt during and after the massage. She always ran the best deals and gave the best massages. Do yourself a favor and make an appointment! I have known Melissa Strautman for about 5 years as a massage therapist. She has always been extremely professional and effective. I have visited her for relaxation and also therapeutic massage and have never left dissatisfied. I am a Registered Nurse and also worked as a physical therapy tech while in nursing school. I have seen my share of poor therapists and Melissa is definitely not one of them. Melissa is awesome! I am not one to lay there and be quiet. I want to know what she is doing and working on, and she never hesitates to answer my questions. She is very knowledgable and professional. I get some pretty bad knots in my shoulders and back and always feel 100% better after a deep tissue massage with Melissa…..